So, a photograph is a picture made with light, a sliver of an instant, frozen in time. Nothing more; nothing less. It’s a split-second reaction between particles of light and some surface that catches them – film, coated paper, a digital board. Sometimes, the lucky times, the picture made with light captures something beyond a literal image. You might hear, from time to time, someone resist having a picture taken, might hear someone say that a picture takes a piece of the subject’s soul. It’s actually the opposite; in the end, a photograph is a piece of the picture-maker. When I was a sophomore in college I learned to make pictures with light from Emmet Gowin, a Virginia native who, as it happened, was in the same class at Rhode Island School of Design as Murray Riss, who was (is) a well-known photographer living in Memphis and who was also teaching students to make pictures with light at the Art Academy (now Memphis College of Art), in the photography department which he started in 1968. Remember this part of the story. At the time I met him, in the mid 1980s, Emmet was best known for being the only photographer allowed inside the Mt. St. Helens no-fly zone. His aerial photographs of that geography were – are – stunningly beautiful, and they were a departure from the work that had earned him earlier fame (and representation by Pace-McGill Gallery), portraits of his wife Edith and their extended family, all of which were reminiscent of Harry Callahan, Emmet’s teacher at RISD, only darker and distinctly Southern in a way only a Southerner could understand. Emmet was chair of the photography department at Princeton, which was housed in a small suite of rooms in the basement of 185 Nassau Street, home to many of the university’s creative departments – painting, printmaking, ceramics, sculpture, creative writing, dance, filmmaking and, as I mentioned, photography. In my graduating class of 1200 or so students, I think there were six of us with Visual Arts Program concentrations, a special designation for students in the Art & Archeology department. The entire enterprise, which we all called simply “185,” was a tiny secret located off the main campus, next to the ice cream store and not too far from the bar. Visiting artists and writers and dancers, mostly from New York, taught semester classes and came to lecture to the hundred or so undergraduates, walking the halls and smoking Camels and having coffee with faculty like Emmet and John McPhee and visiting artists and writers like Elizabeth Murray and Toni Morrison. I stumbled into 185 as a painter, in the spring of my freshman year, and emerged, three and a half years later, as a photographer of sorts, having learned to make pictures with light from an art photographer, not a photojournalist, in a very small, very concentrated art program that hid in the shadows of the more widely recognized E-Quad and Woodrow Wilson School. And then, for a brief time, I taught photography. And then I did a few other, different things, not having much heart for the business of art. It is one thing to create the work. It is entirely different, both for the art and for the artist, to exhibit, market, sell, and promote promote promote. But I have never not been an artist, never not loved art, never not continued to work on my work, whether that work has been seen or unseen (that, mostly) by anyone other than me. I have stacks and folders and boxes of sketches, prints, watercolors, photographs and miscellany from the decades in between when art was my work-work and now. The artist in me has needed some careful coaxing and nudging and encouraging in the years after leaving the safe haven of college to navigate the big, bad world. It is one thing to learn how to create art, but another thing to learn how to share it. In 1993 the Midtown Mental Health Institute hosted a February fundraiser called Works of Heart. 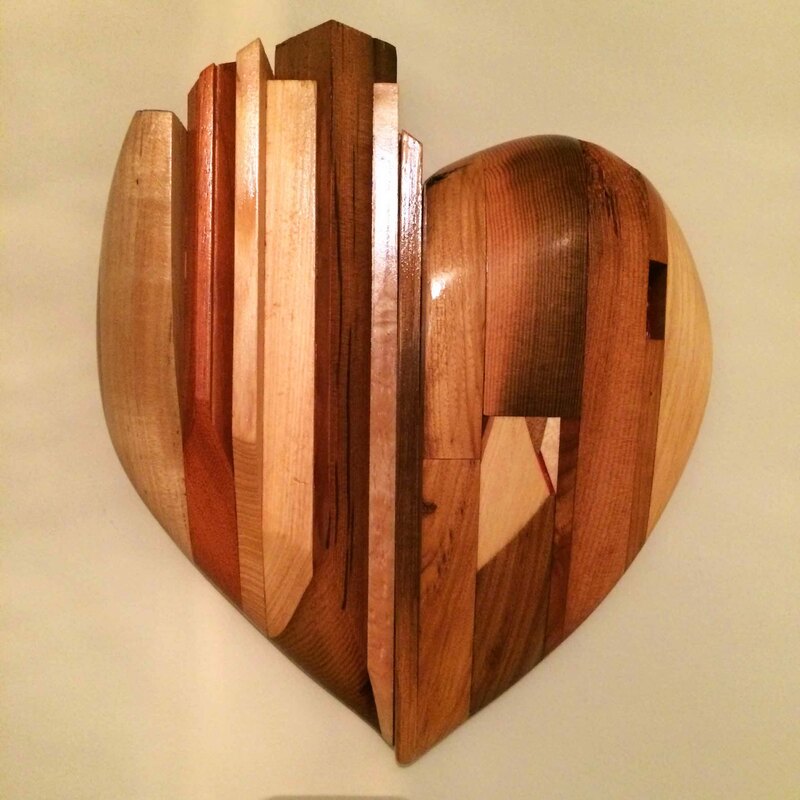 Local Memphis artists, about 50 of them, were given a wooden heart, roughly 12×12, and asked to produce a work of art for a silent auction, held at the WMC-TV5 studio, to benefit MMHI. Two of the creators of the event were Karen, a therapist, and her husband, photographer Murray Riss, who was, to me, an intimidating mix of intrigue and mystery and magic. He still is those things, though no longer intimidating, as he is now both a friend and a neighbor. The event was a great party and a great success for the non-profit agency that hosted it, so the next year it was even bigger. Thanks to an artist friend who had been among the initial participants, I was invited to join the artists – a larger group, including both top who’s-who and newcomer-unknowns (like me) – for the second annual event, in 1994, at the Oak Court Mall, where I met Murray, local legend, in real life for the very first time. The next year Murray and the committee invited me back, and the next, and the next, and so on. I don’t know a single other person who is quite like Murray Riss. He is warm and funny and serious and prophetic and talented and grateful and abundant and kind. He is accepting of faults and shortcomings, but not too much so. He’s the sort of teacher no student wants to disappoint, not fearing wrath or retribution but because Murray invests his own heart into what he expects from others, and no decent human being wants to break another person’s heart, not even a tiny bit. Especially not Murray’s. For 24 years now Murray has invested his heart into encouraging fellow artists – many different kinds of artists of varying levels of experience, recognition and acclaim – to pour bits of themselves into work that will turn into money that will turn into programs and services to benefit people whose hearts are in fragile, healing states. Many of the artists are local, high-profile superstars; others, like me, are mostly off the radar. Every year, after the auction, Murray writes a personal note to each and every artist commenting on the work he or she contributed. Each and every one of us, superstar or not. As things change over time, so has Works of Heart. In a story I’ll abbreviate greatly, both the event and the stellar executive director of the agency that founded the event moved to the Memphis Child Advocacy Center about 15 years ago. The auction is now held at the Memphis College of Art, and it’s a real art show, not a temporary showcase on tables draped in black polyester and sprinkled around a makeshift setting. There are more than 100 artists each year, though the line-up changes a bit from one to the next. Last year, to my delight, Bernard (who has for years helped me assemble and frame my pieces) let his inner artist come out to play, and he joined the slate. There are a few constants: Murray. Karen. The 12 x 12 wooden hearts. Our friend Garland. Local artists. February. Thirty years ago, my friend Emmet taught me to make pictures with light. Over the past 23 years, my friend Murray has taught me how to keep making them, how to share a piece of my heart. Because, really, what’s the point otherwise. 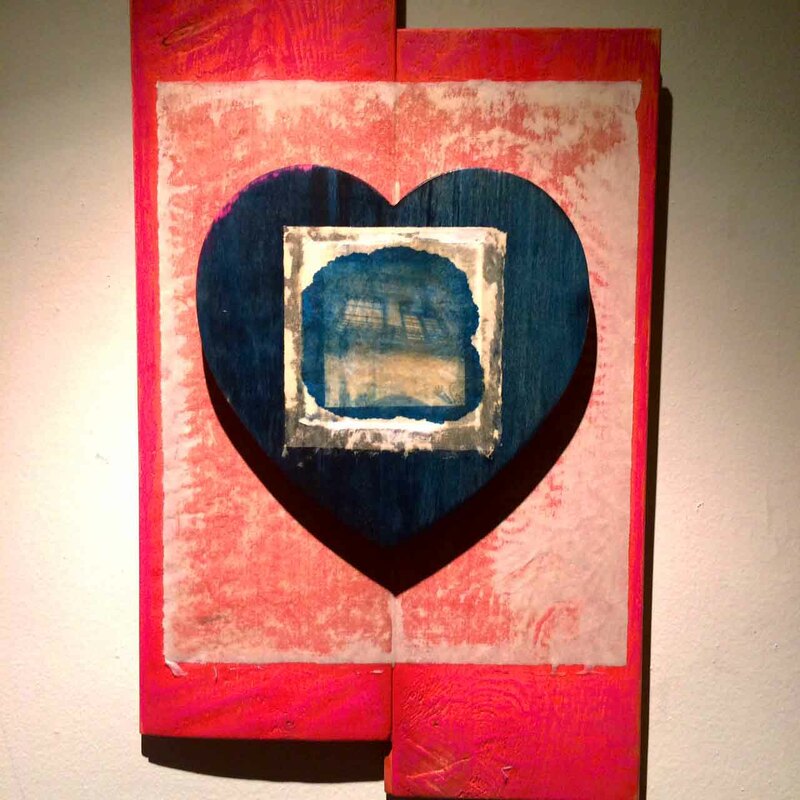 Works of Heart is tonight, February 6, 2016 at 7 p.m., Memphis College of Art. Tickets are available at the door. If you’re in Memphis and don’t have other plans, come join us. Also, happy birthday to you, Murray; and thank you. 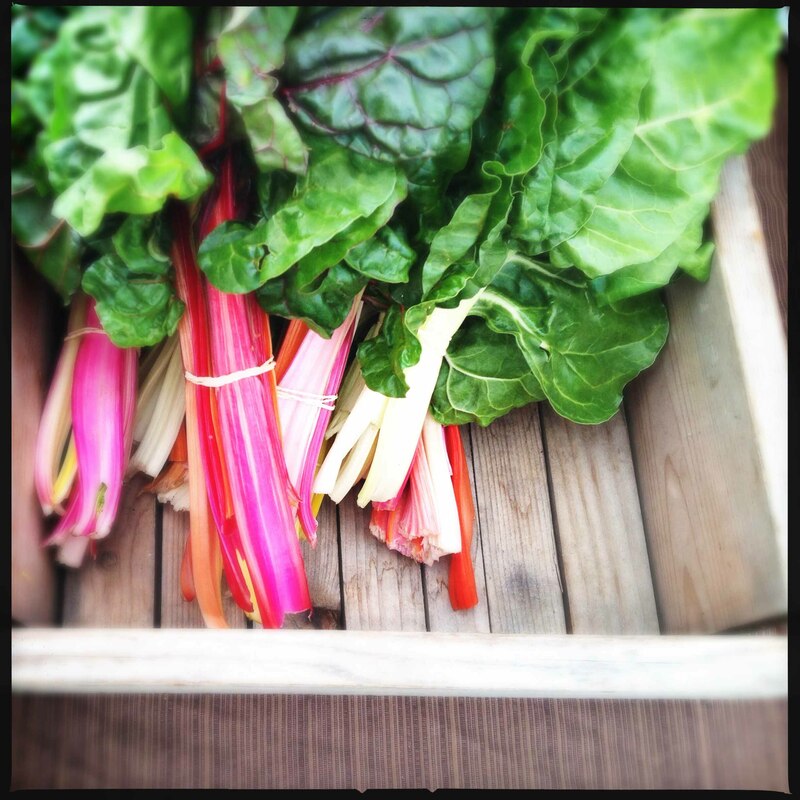 Thanks to everyone who sent enthusiastic messages about the return of the weekly dinner menu; they made me happy. And returning to a dinner plan is making both my family and me happier than you know; so there’s that. The report from last week’s line-up gave thumbs-up to the Farmers Market Quinoa Salad (which I’m making tonight for an early supper). If you didn’t make it, there’s still time (always). This week I’ll have some help from the fine folks at Plated and The Fresh Market, because life is complicated enough. the $20 Little Big Meal (Thursday only): protein, rice, vegetables, simmer sauce and cookies. Fin. Spanish pork skewers (p. 191) with vegetable pot-au-feu (p.177) (Tanis recipe not published online, but here’s a similar one from bon appetit) or Swiss chard al forno (again, official recipe not online, but here’s a review and re-post). Oh, wonderful. Hope the evening was grand. Yay, you and yay, Bernard, and yes, yes, yes to all the artists who take the opportunity to make something special that will take a pinch of their talent and a cup of their time and turn it into meaningful money for a good cause. (I love me a good art auction. No better inspiration than believing that my little something can become a much bigger something for someone who needs it.) Hope it went well! Thanks, Dawn! If your ears were burning last week it’s because Emily and I met for lunch and were saying how much we would enjoy having you come to visit!! Previous article If I can cook dinner, so can you. Next article This old house.